About 2 weeks ago, I crossed the 15-year anniversary of surrendering to full time vocational ministry. 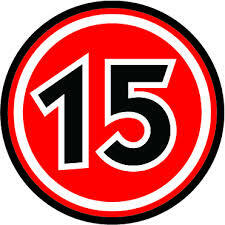 These past 15 years have been an incredible walk with Christ that has given me more opportunities than I ever imagined. I’ve preached on 3 continents in 10 countries. I’ve had opportunities to see people surrender to Christ and realize the hope and joy of a relationship with Him. As I read on Facebook, Twitter, and various blogs, I see many students who have come through a ministry where I served. Many of them are married, some have children, they are scattered throughout the US and around the world. I read posts and see pictures of them serving faithfully and sharing the love of Christ in the world. I feel like a proud father of those students. I am thankful The Lord crossed our paths and allowed me to be a minister in their lives. God is gracious to allow these relationships and I am grateful for them. To those students, I challenge you just as I did when I was your pastor, share the love of Christ in the world. Be the light of Christ in a dark place. Trust The Lord and share His gospel. Be faithful and obedient to Him. He is for you. He is good and He does good. Expand God’s Kingdom and point new worshipers to His beauty. His love never fails. He is eternally glorious and faithful. 27 Jul	This entry was published on July 27, 2013 at 8:46 am. It’s filed under ministry and tagged ministry, Thankful. Bookmark the permalink. Follow any comments here with the RSS feed for this post.